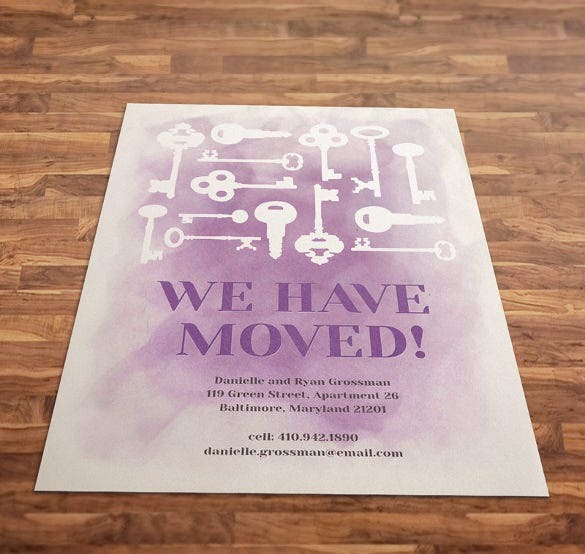 Setting foot in a new home is always a memory worth cherishing. 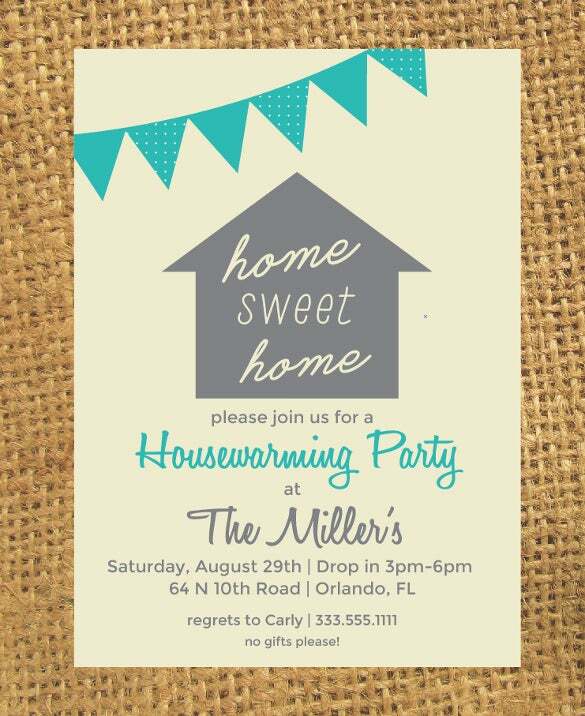 In order to make it more memorable, a housewarming party is considered apt. 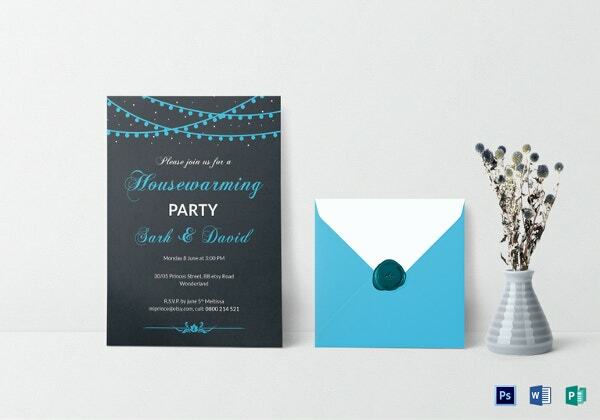 While all the preps are happening in the background, the hosts are concerned with making invites and sending them. 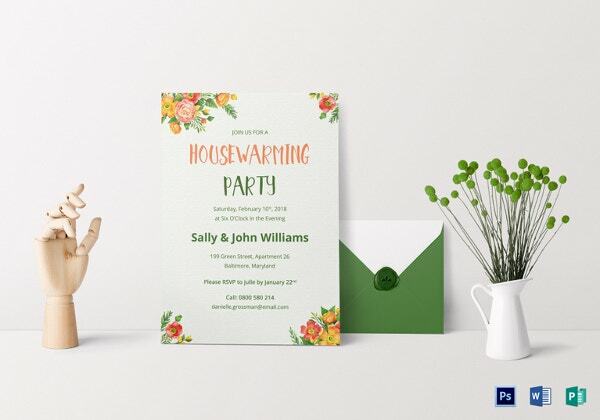 Instead of fretting over the process of having to design cards on your own, why not use readymade housewarming invitation templates for the occasion? 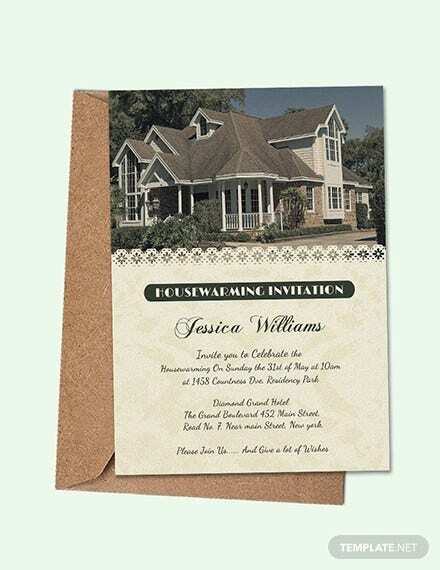 You can also see Halloween Invitation Templates here.You can simply enter the keywords and let the world web help you choose. 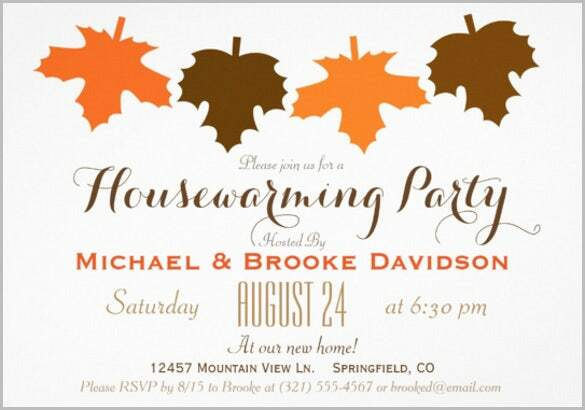 It’s needless to say that you would want your housewarming invitation card to look best. 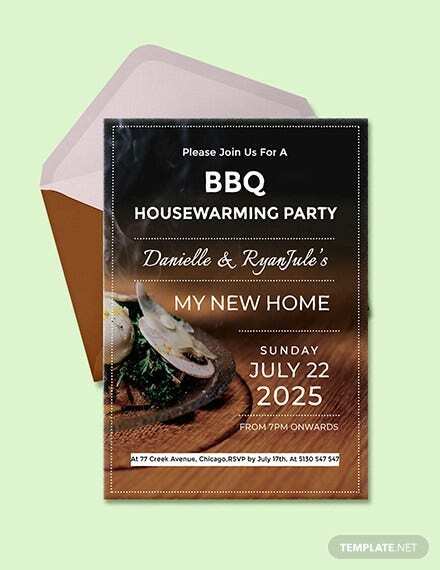 Check out this collection of housewarming invitation templates which have been designed keeping varied preferences in mind. You can download them easily and personalize them to match your tastes. 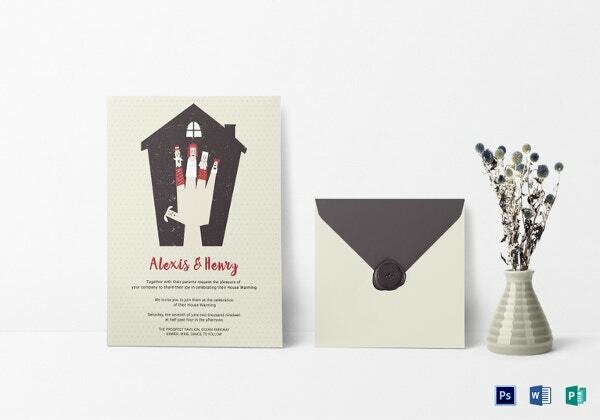 Take our word, the designs are already stunning! 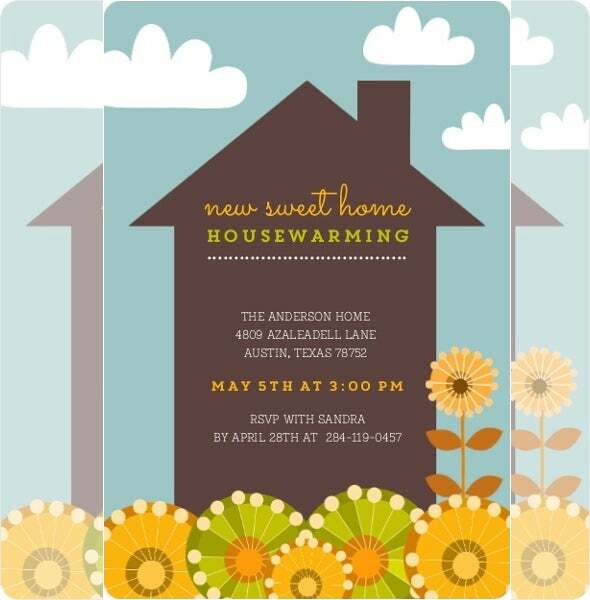 Download this simple housewarming invitation template and offer your guests the perfect invite for housewarming. 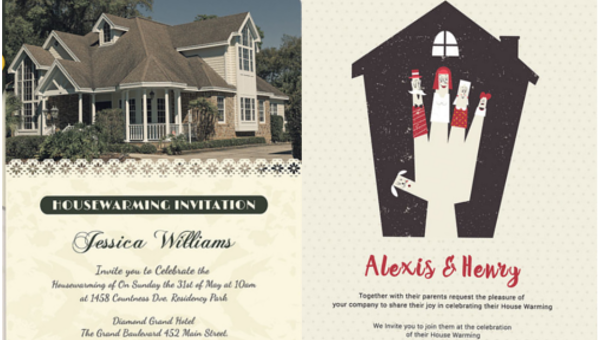 In spite of being a simple option, the invitation template is sober and will send the right message. 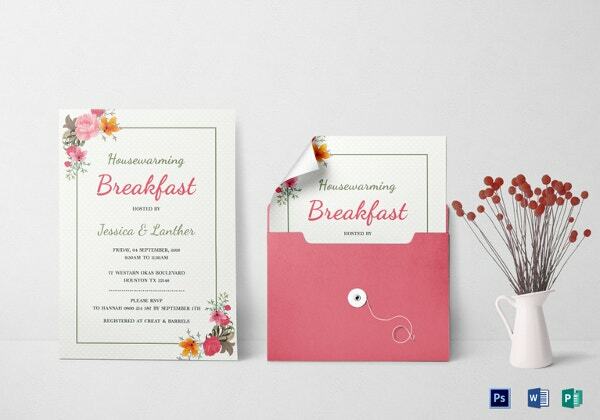 You can see also ticket invitation templates. 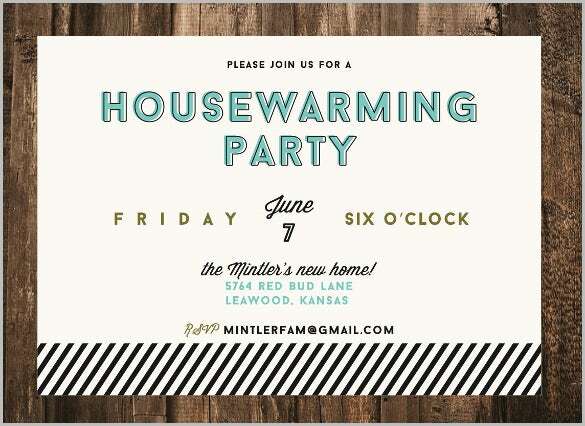 Download this completely editable but great looking unique housewarming invitation template and look to create a perfect first impression in the eyes of near and dear ones. 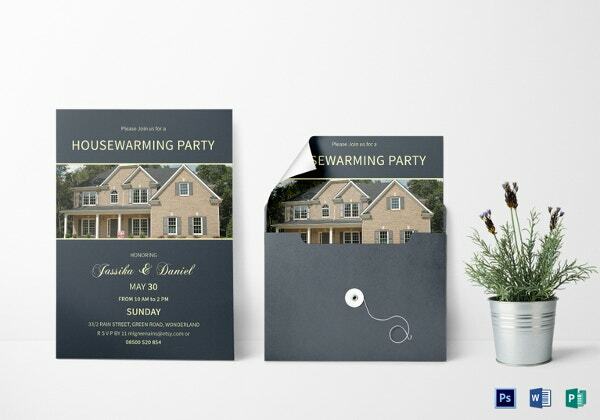 The invitation template certainly stands out in the crowd. 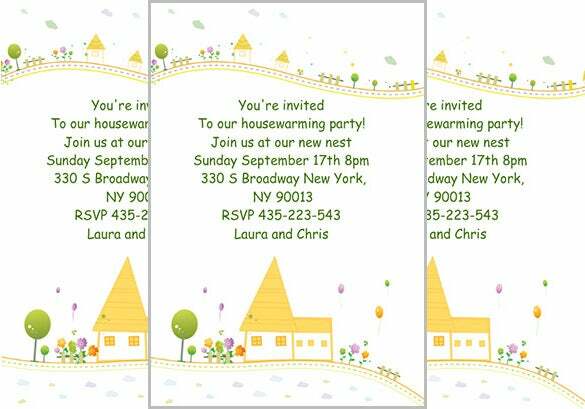 Get hold of our dotted housewarming ceremony invitation card free download options and create an immediate impact in the minds of guests. Our cards being editable allow one the luxury of adding or deleting stuff accordingly. 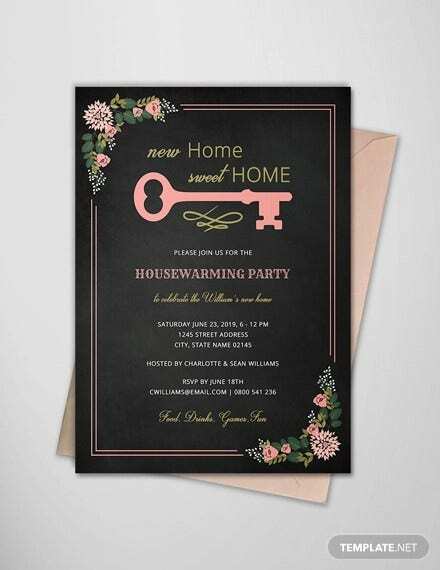 Just grab this fully editable but creative house warming invitation template and immediately create a perfect impression in the eyes of your guest. Fully editable versions are preferred as one can add and delete material accordingly. 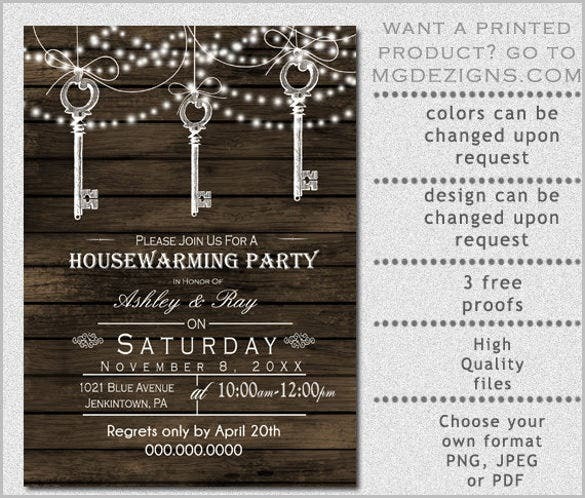 Get hold of this customizable housewarming invitation template and add colour, décor to your invite. 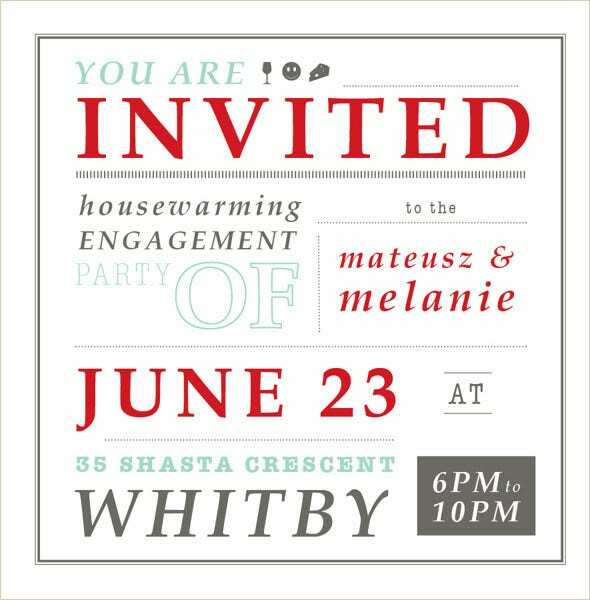 We take enough precautions so that our online housewarming invitation cards are able to create an instant positive impact. 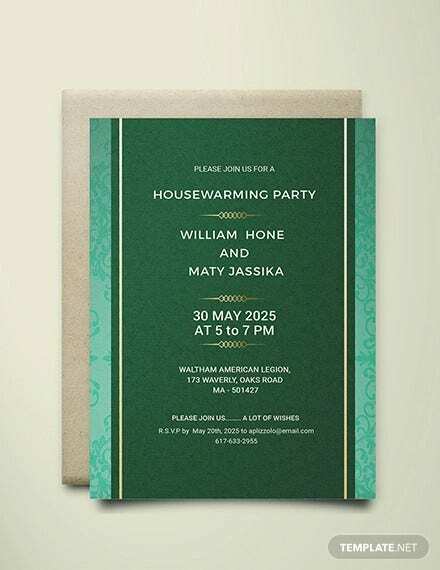 Download this white housewarming invitation template and look to send the best amidst housewarming invitation cards. The option portrays a sober look and being completely editable one can add or delete content accordingly. 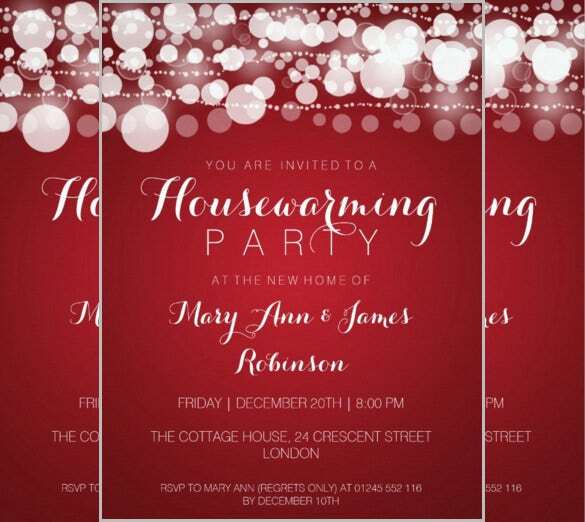 Just get hold of this downloadable vintage housewarming invitation template and add class to your housewarming invite. 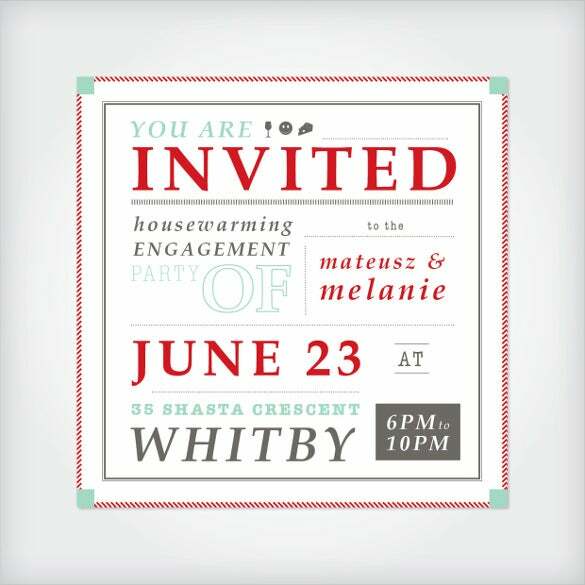 Our design team is forever looking to create such stunning designs and make your housewarming invite special. 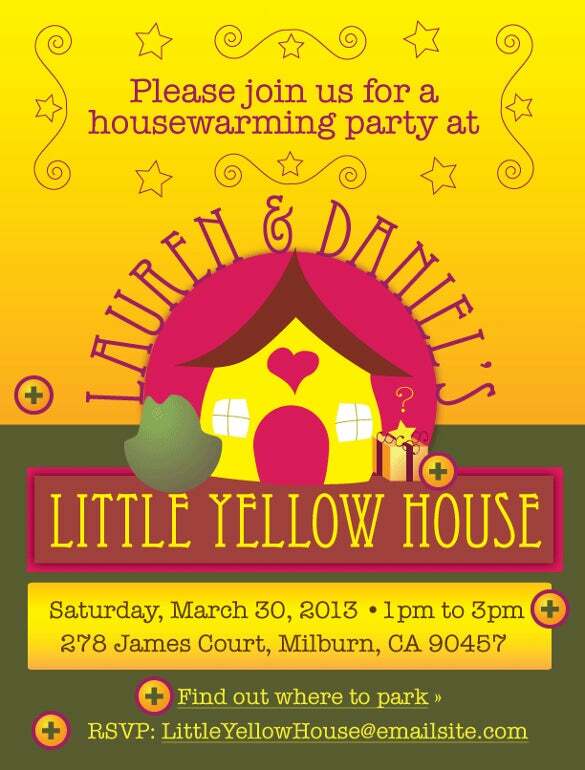 Get hold of this little yellow housewarming invitation template and create a sensation amongst close friends and relatives. 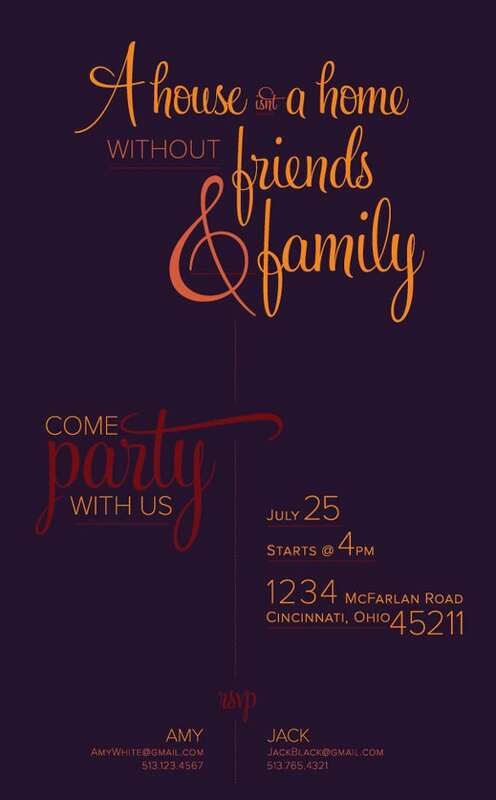 We certainly offer you an invitation template, which you will remember in time to come. 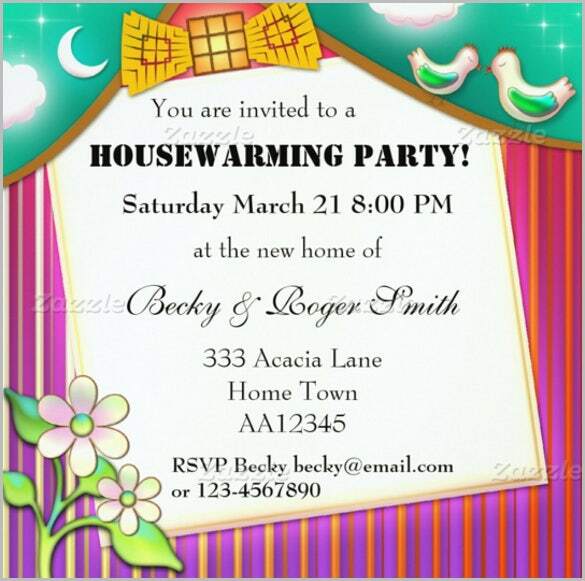 Download this wonderful flower housewarming invitation template and add a personal touch to your house warming invite. 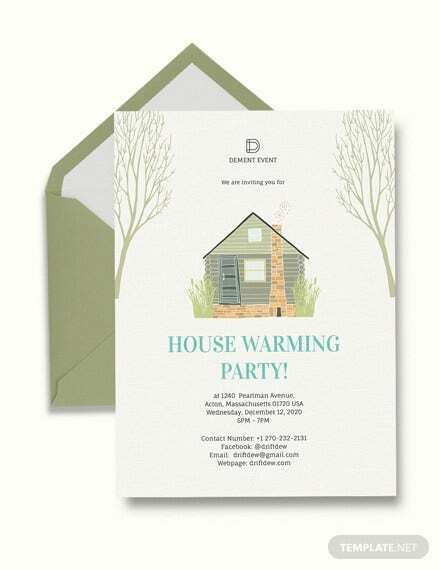 Our perfectly designed and printable housewarming invitations certainly add elegance to your invites. 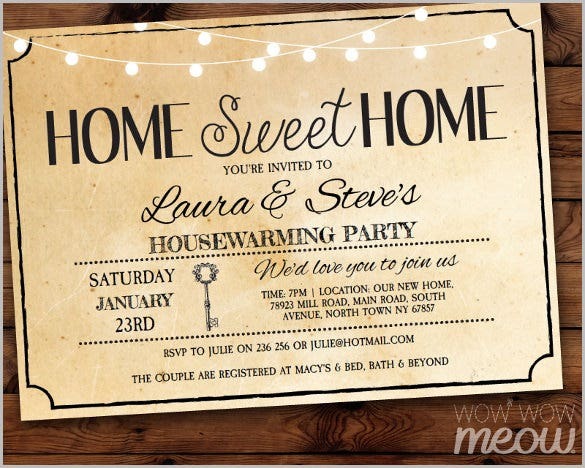 Look to download this attractive housewarming invitation template and create an ever lasting impression in the minds of your guests. We are certainly offering you the best in terms of designs and outlook. 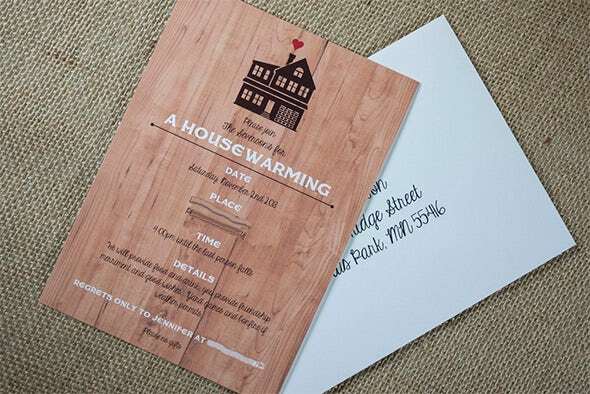 Grab hold of this modern housewarming invitation template and look to send an invite, which should create an everlasting impression in front of guests. 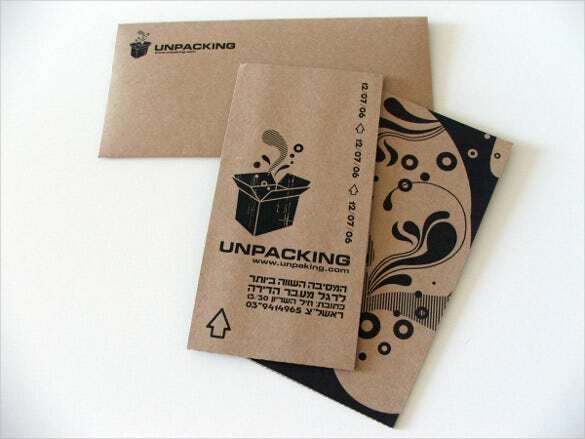 The design work and layout is just great and certainly in line with modern styles and designs. 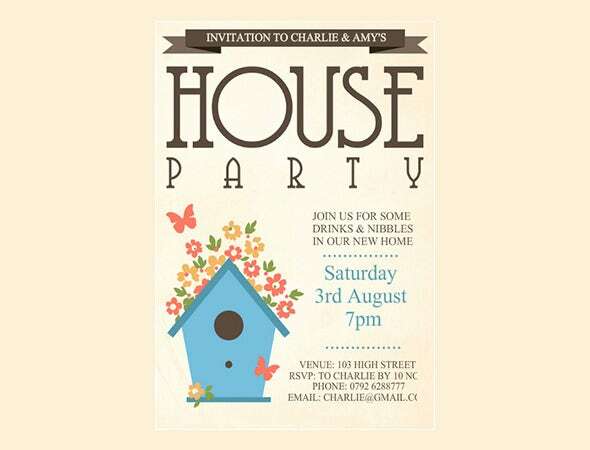 This gorgeous housewarming party invitation is the perfect introduction to your gorgeous home. 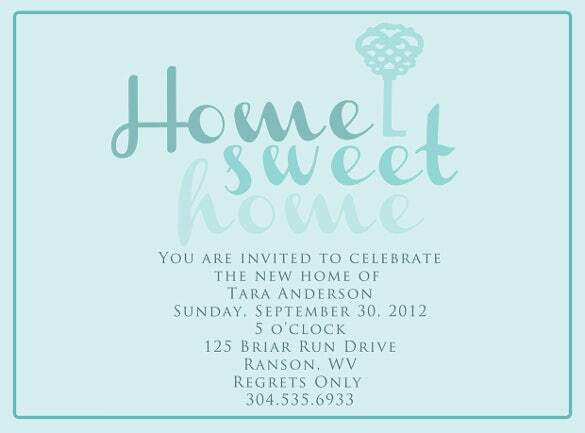 Available in multiple color schemes, just download, edit the text and print these 5*7 (free font editable) templates! 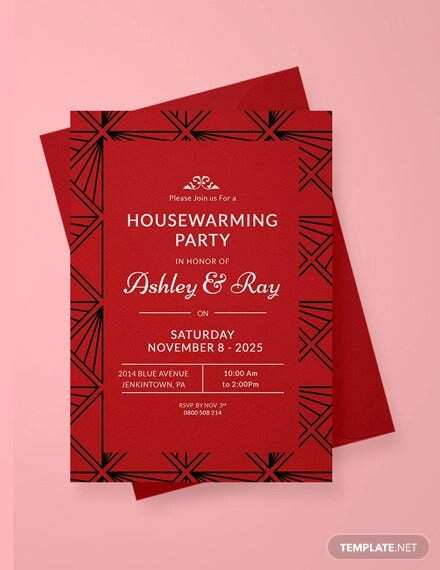 Housewarming Invitation idea template comes in bold shades of blue and red, with a gorgeous text style and plenty of room for a heartfelt message. Scalable JPEG vectors just make it easier to edit and download this template. 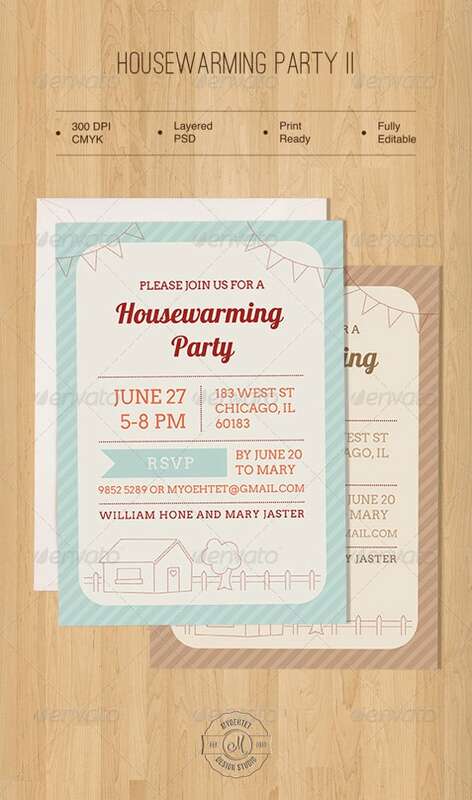 Housewarming Invitation is another template in sweet pastel shades of blue, incorporating a lovely sober text color scheme and some casual but pretty fonts for your message. Its minimalistic characteristic just works. 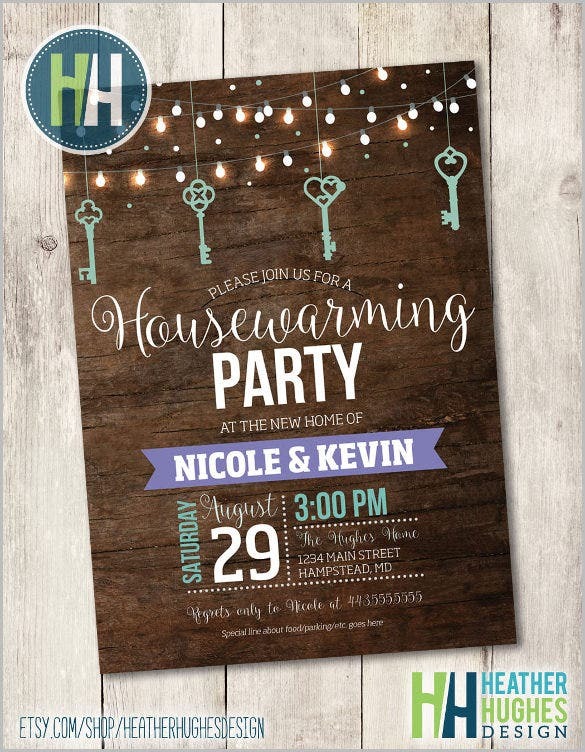 The lantern lights Housewarming Invitation template has a gorgeous ultramarine shade in pastel: its lovely pastel lantern lights and some beautiful white fonts just add to the pizzazz of your invitation. 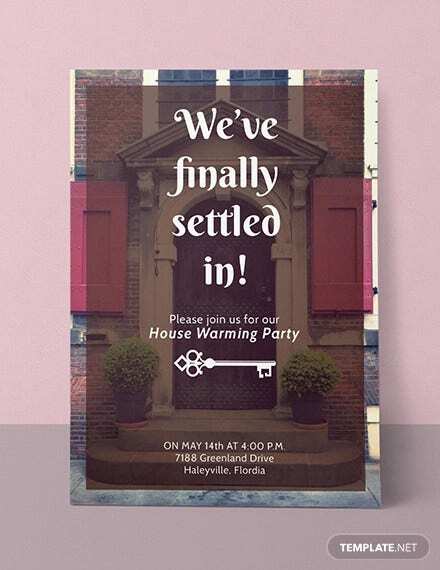 Free Housewarming Invitation template is a printable which includes typical pastel colors for a bright and warm invitation. 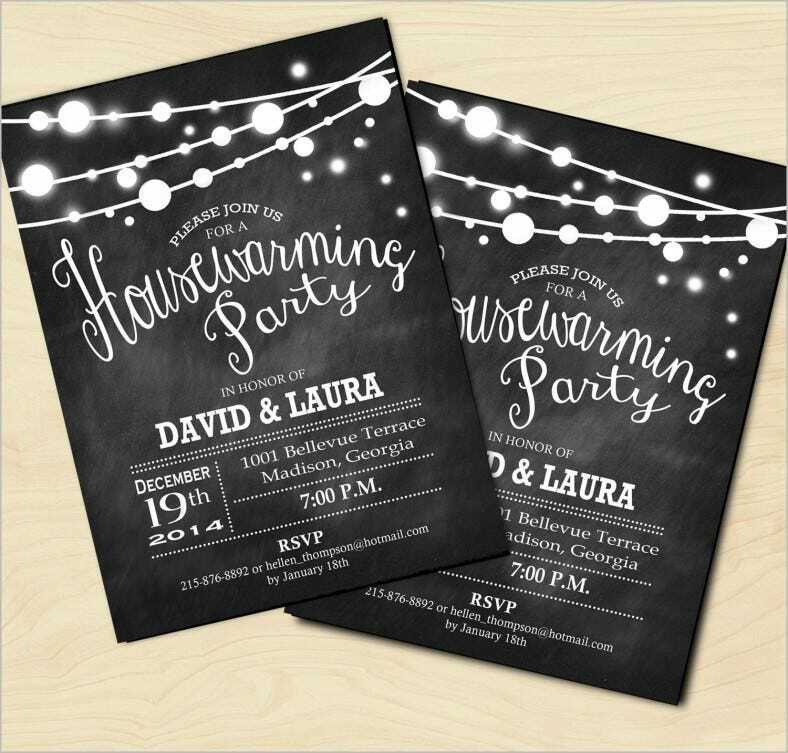 The design elements and fonts work well together, and its easy-to-edit characteristic makes it infinitely attractive! When you want to keep a mix of casual and formal, this is the most convenient option. 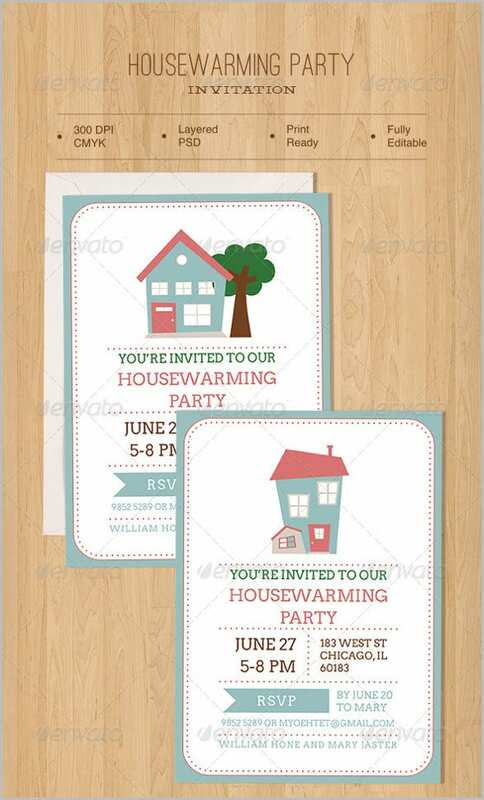 You have the option of customizing your housewarming invitation template when you download it. So what are you waiting for? 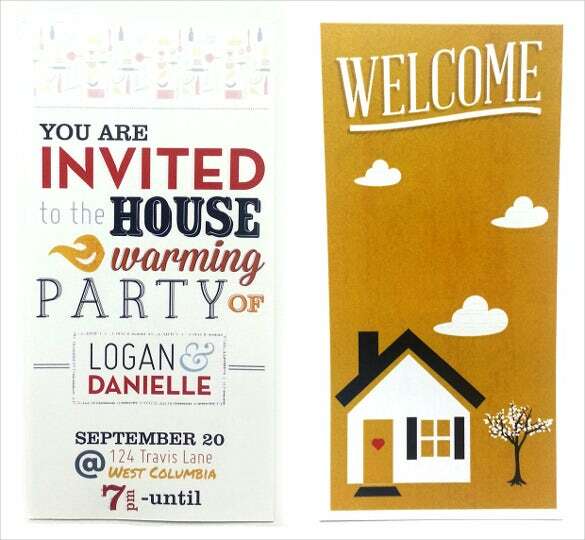 From cute to sarcastic, snazzy to simple and down to earth, the designs are varied; the fonts are innumerable. 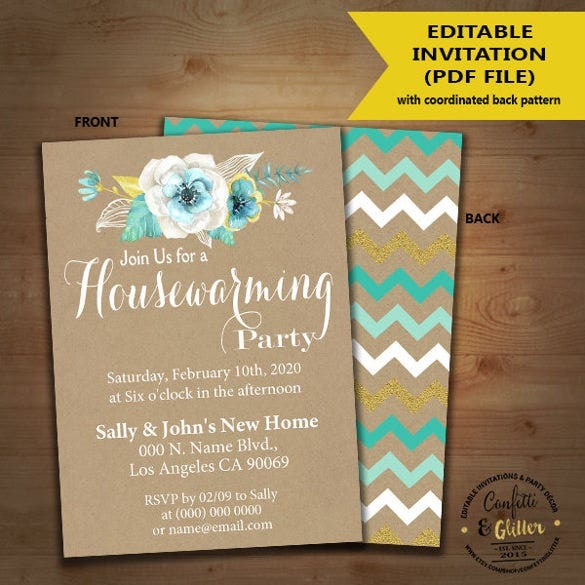 Get going as you plan your housewarming Invitation Template. Let this be the best job done among all!